The Axion Label was made for metal, but offers even more for the adventurous players out there. The Axion Label models feature forward-looking developments in sound, playability and looks that take performances higher, deeper and heavier. Arm yourself with the Axion Label and get ready to break some new ground. Nothing breathes inspiration into your playing like the feel of a precision made instrument, capable of interpreting your every move with power and accuracy. 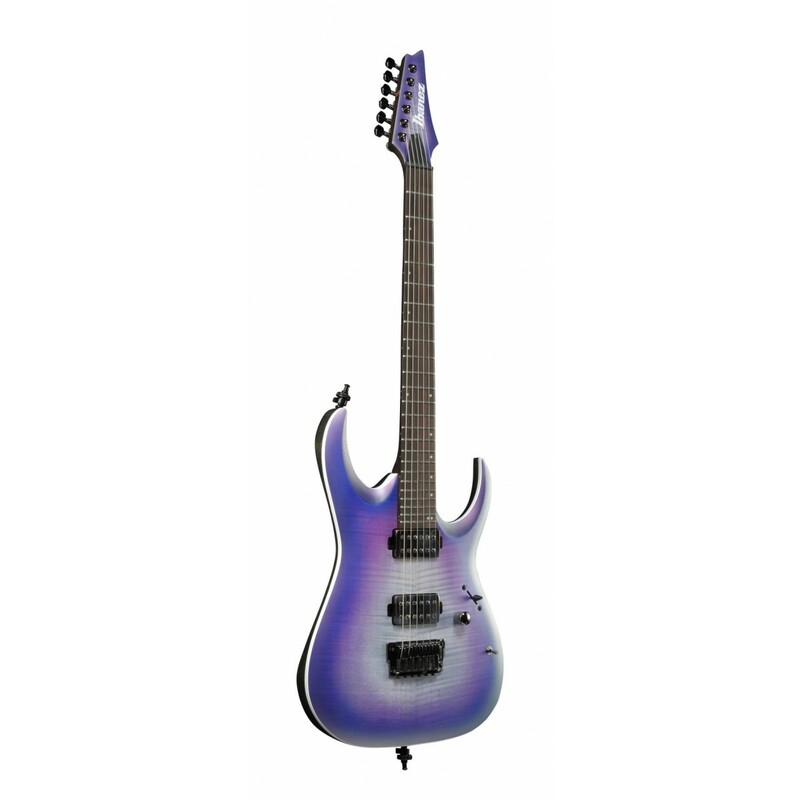 Enter the Ibanez RGA— a solid body specifically built to handle the heaviest, most physically demanding music you can conjure up. 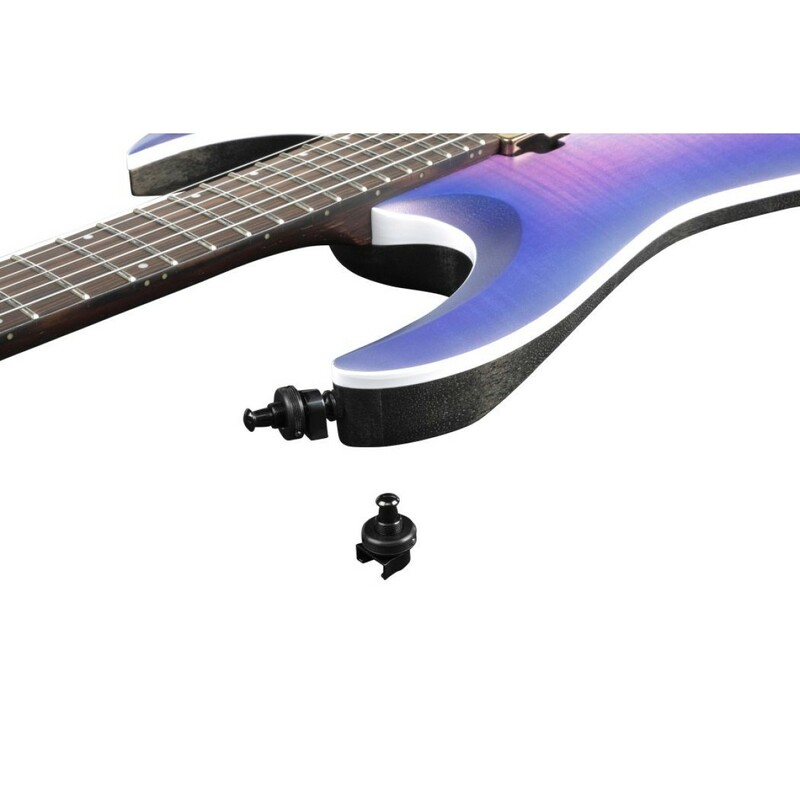 The RGA's unique, sleekly sculpted top offers unrestricted playability for full-throttle power chording or heavy riffing without fear of digging into the body. Remaining balance in 3 installments of $500 to be paid every month. 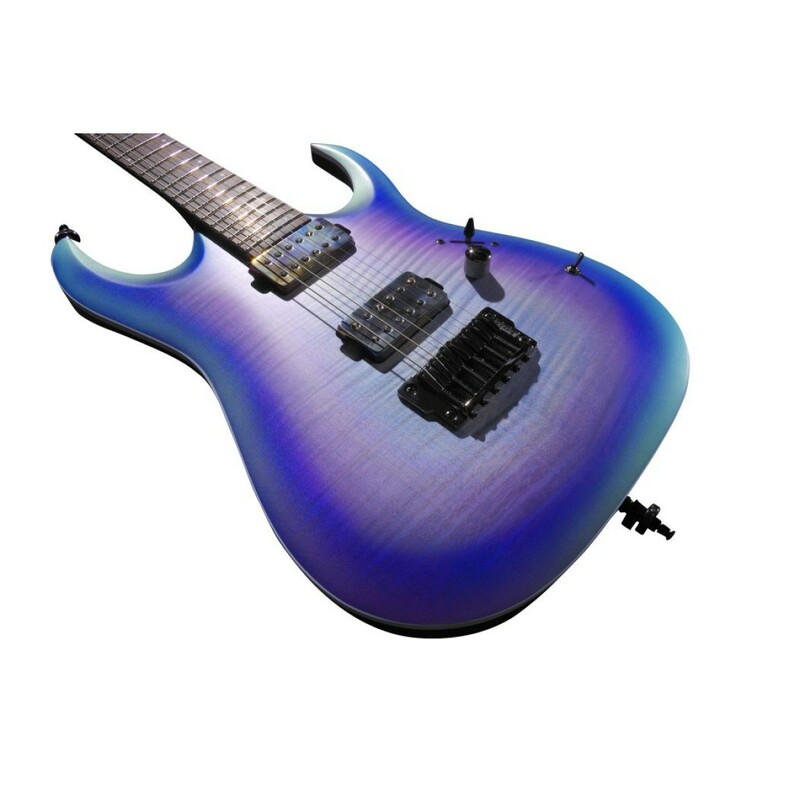 The Ibanez RGA61AL IAF Electric Guitar - Indigo Aurora Burst Flat is part of the New Axion Label Series from Ibanez for 2019. The Axion Label was made for metal, but offers even more for the adventurous players out there. The Axion Label models feature forward-looking developments in sound, playability and looks that take performances higher, deeper and heavier. Arm yourself with the Axion Label and get ready to break some new ground. Nothing breathes inspiration into your playing like the feel of a precision made instrument, capable of interpreting your every move with power and accuracy. 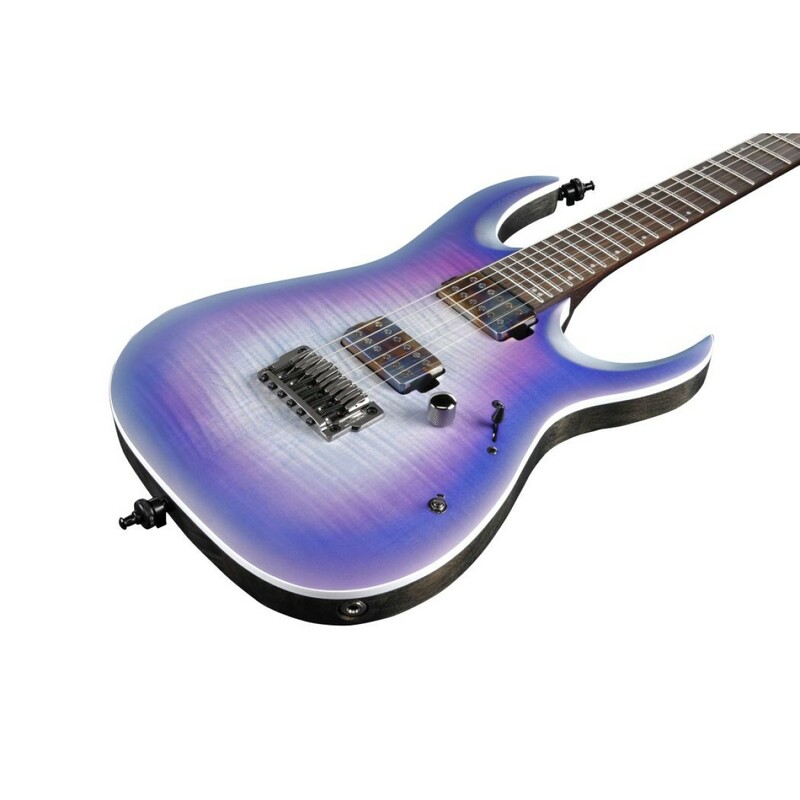 Enter the Ibanez RGA— a solid body specifically built to handle the heaviest, most physically demanding music you can conjure up. 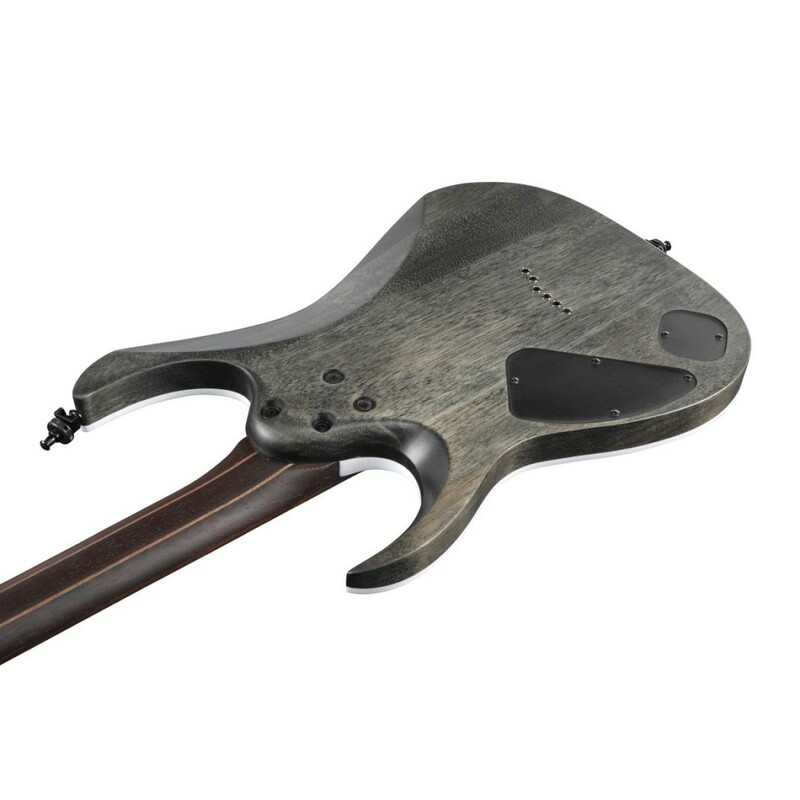 The RGA's unique, sleekly sculpted top offers unrestricted playability for full-throttle power chording or heavy riffing without fear of digging into the body. 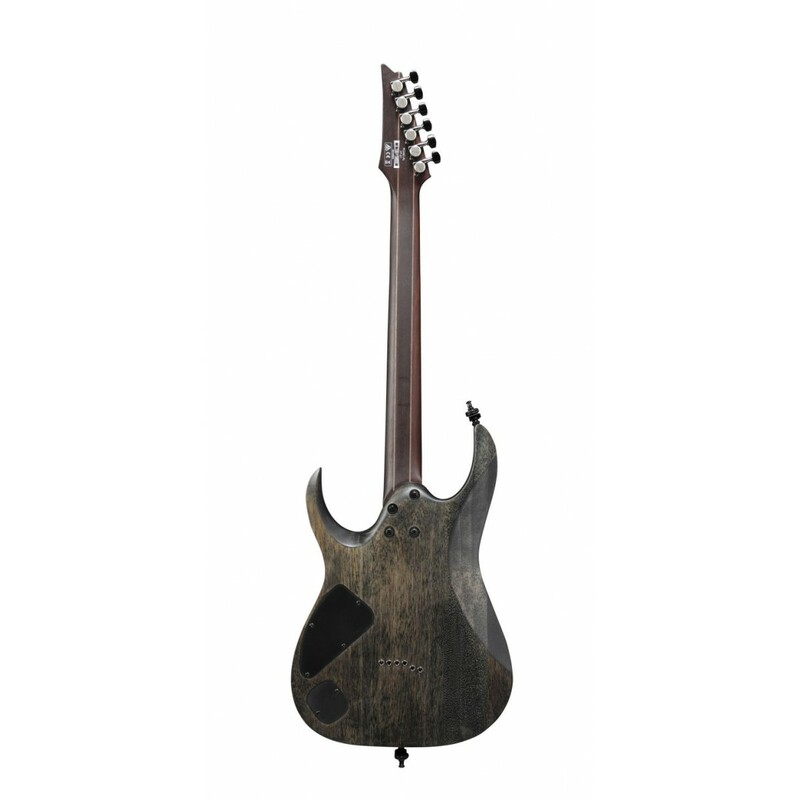 Built with a Nitro Wizard 5pc Panga Panga/Walnut neck, complimented by Cosmo black Hardware. 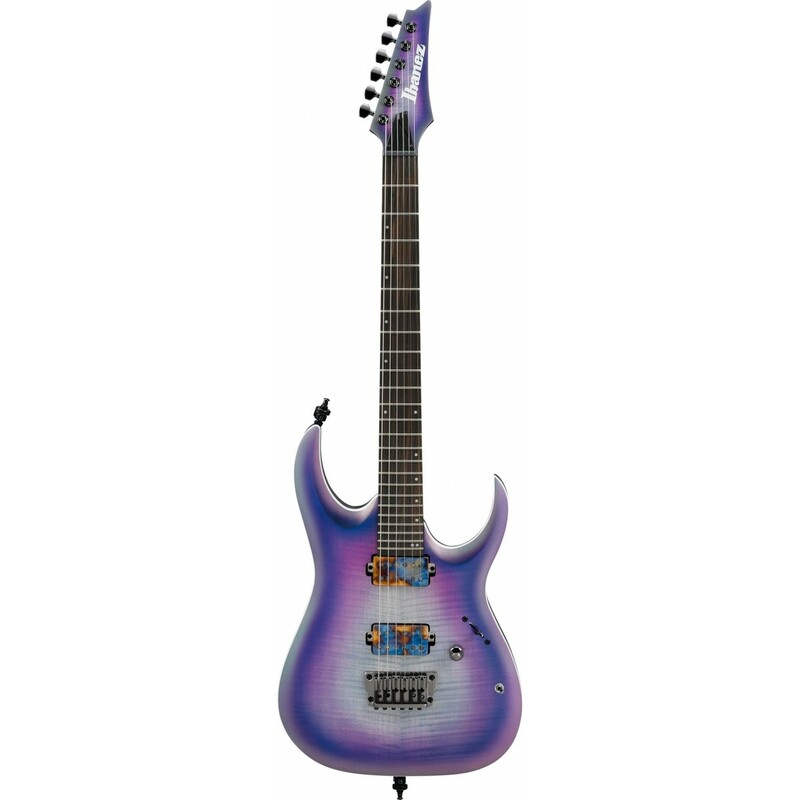 This guitar is equiped with a Bare Knuckle Aftermath (H) Neck Pickup, and Bare Knuckle Aftermath (H) Bridge Pickups, and has 1 Volume, 3-way lever switch controls.